This South End restaurant aims to become a neighborhood go-to when it opens on Monday. 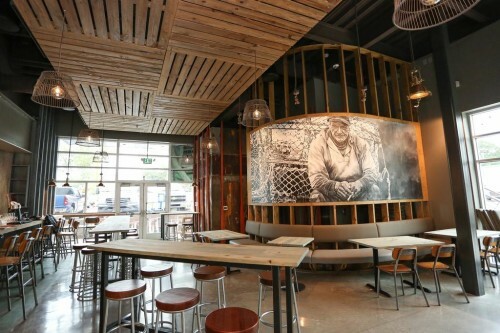 The Waterman — the sophomore seafood restaurant for Charlotte-based Damian Dining — is located in the end cap at the Harris Teeter-anchored center off South Boulevard. “I think people struggle to find approachable seafood,” Paul Manley says. He and Andrew Chapman are founders and owners of The Waterman. 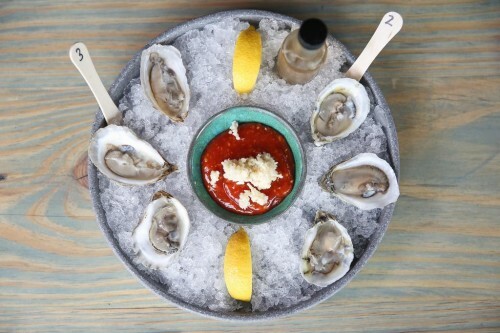 The concept will dish up N.C. farm-raised oysters — but in a more casual setting than its counterpart in Sea Level in uptown Charlotte, which has become a destination for its farm-to-fork oyster bar. The goal with The Waterman was to create a neighborhood gathering spot that draws in repeat business, possibly multiple times a week. He’s proud of how those restaurants source sustainable seafood and the relationship Damian has built with the fishing community. 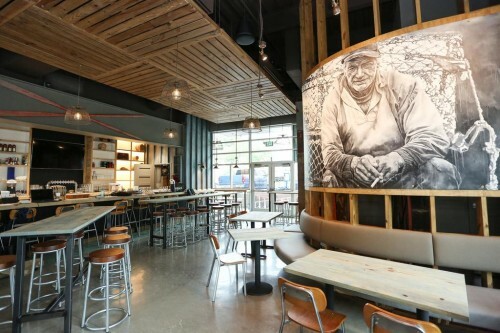 Longtime Charlotte restaurateurs Dennis Thompson and Frank Scibelli also have invested in The Waterman. 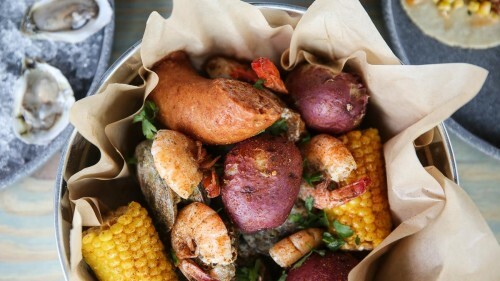 Expect shareables such as the Boo Fries, house-made fries smothered with cheese and crawfish gravy or chargrilled oysters. Plates include a brisket and frites and The Waterman’s Platter, with cornmeal-crusted catfish, crispy oysters, fried shrimp and crawdaddy dippers. There’s also burgers and sandwiches. Think classic burgers, grilled chicken, lobster rolls or a catfish Reuben as well as Po Boys, including fried seafood versions as well as brisket. 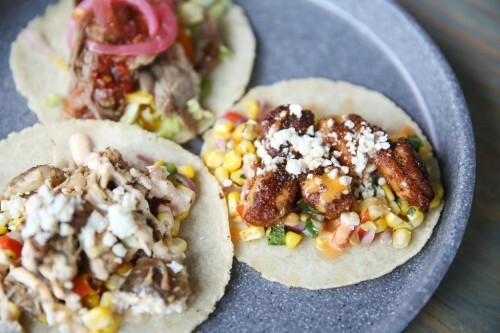 Customers can choose between tacos and sliders with options such as grilled fish, mushroom, braised chicken or Barbacoa available. “You have to have a little bit of something for everyone,” Manley says. The raw bar offers oysters on the half shell, sardines in tomato sauce or squid in olive oil and garlic, served with crackers. Desserts include a carrot cake whoopie pie and Southern pecan bar served with vanilla ice cream. Hunter Thurston is running the cocktail program. 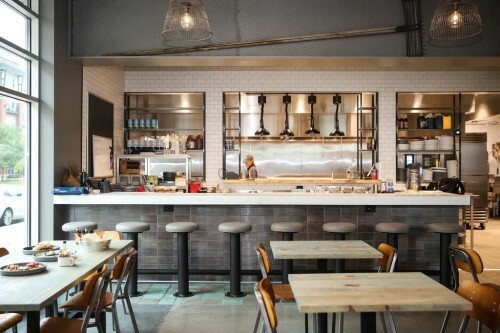 The 3,000-square-foot restaurant seats approximately 200, with additional capacity from a 1,200-square-foot patio and a 2,000-square-foot rooftop bar. The restaurant is part of a $190 million redevelopment project in Sedgefield by Marsh Properties and Aston Properties. The space looks to build on a coastal theme. The decor draws in touches of marine salvage — think ship lights, oyster baskets for gathering and orange lifeboat oars. Oyster tongs hang over the bar. Tables and booths are made from fallen timber from east Texas that’ve been milled and kiln dried. Its patina mimics the green tint piers and docks get from ocean wear. A large mural depicting “the waterman” is a focal point. Lauren Hansen with Aston Properties represented the landlord in the transaction, while Robert Hord with Red Partners represented The Waterman. Fairwood Construction was the general contractor. Mind’s Eye Architecture was the architect. Carrie Frye Interior Design was the designer, while Fine Grit was also involved in the decor. The restaurant opens at 4 p.m. Monday through Friday and at noon on Saturday and Sunday.